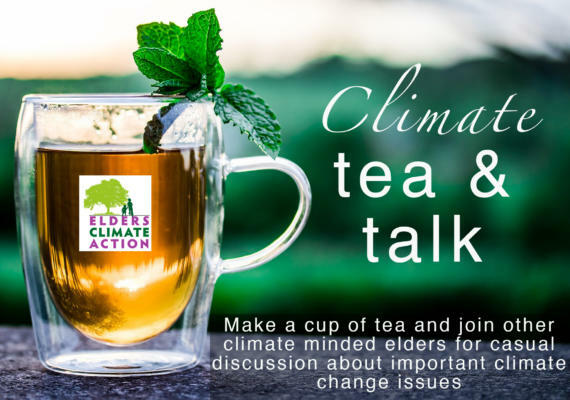 Make yourself a cup of tea and connect with us for a “elder hour” of casual discussion about climate change. We can make new friends across the country and learn ways to engage from each other. We hope you will join us for climate tea & talk!